Frank, of Templeton, Pennsylvania, complained that next we’d have to outlaw Coca-Cola, since the original formula was invented by John Pemberton, who fought for the Confederacy in the Civil War. 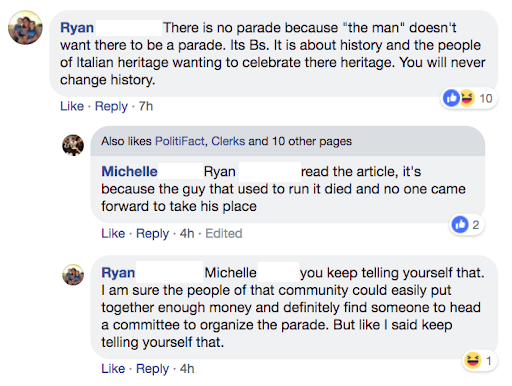 And then you had Ryan, a dad who owns a landscaping business, suggesting that the parade shutdown was part of a conspiracy. The only problem here? 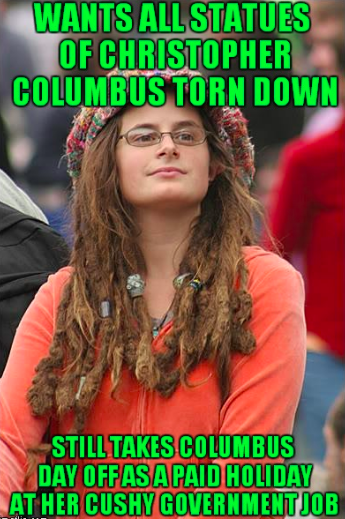 The city hadn’t canceled its Columbus Day festivities out of moral outrage or under pressure from left-wing groups. The organizer had just died, and there was no one to take his job. It didn’t help that attendance had been dwindling. That defensiveness — and those rushed conclusions — are emblematic of the 21st-century Christopher Columbus fan, who sees himself as a culture warrior fighting a battle too often forgotten. He cannot accept that academics like Howard Zinn have offered a “revisionist” image of Columbus as a gold-crazed, slave-trading, bloodthirsty herald of colonialist genocide. 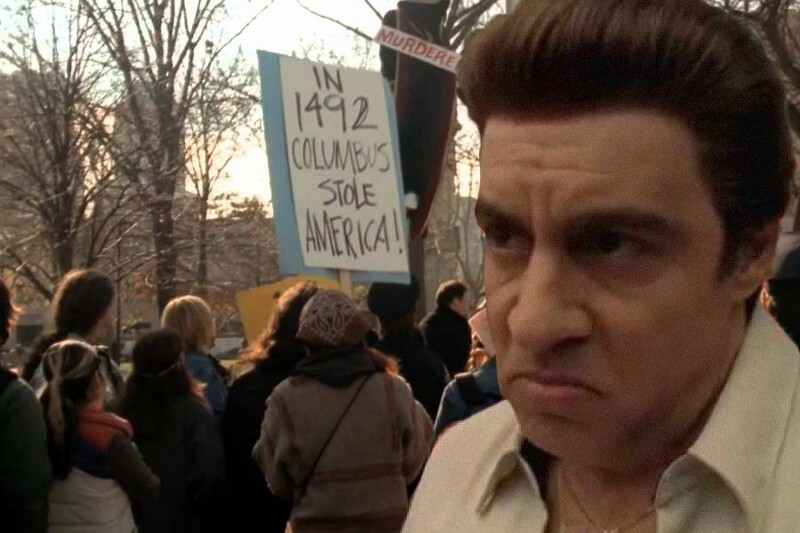 He is appalled by the “political correctness” of cities that have done away with Columbus Day in favor of Indigenous Peoples’ Day. Like the people who want to keep Confederate statues and monuments built decades after the Civil War, the Columbus loyalist squawks about “preserving history,” or, like the mafiosos in a much-maligned episode of The Sopranos, he views any pushback against the Columbus hero myth as insulting to Italian-Americans who claim him as their own. 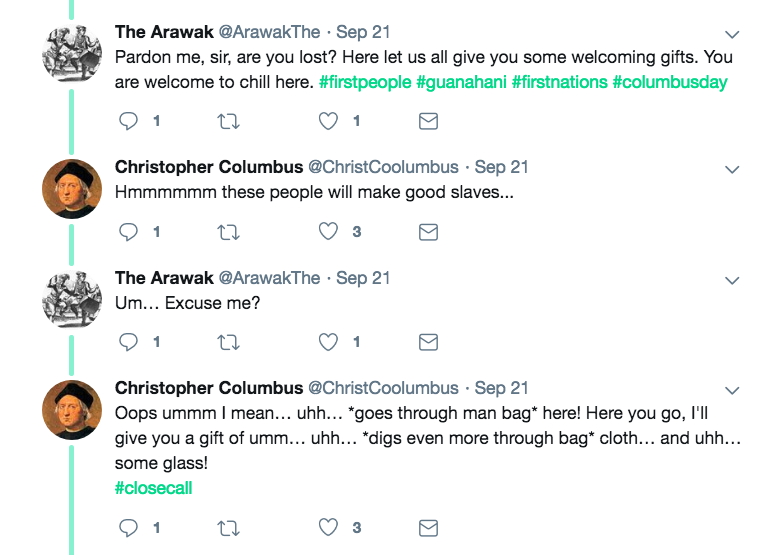 Each October, conservative media outlets trot out a columnist to make the case for continuing to celebrate Columbus; typically they fall back on the heritage/history argument and insist that a 15th-century Genoese man shouldn’t be judged by the same moral standards that apply 500 years later. They tend to show their hand, however, when informing us that Native Americans were already engaged in the cruelties of war and slavery before Columbus showed up — as if to say that the annihilation of their societies by Europeans who followed him was neither novel nor any great loss in the grander scheme. Similarly, a Fox News editorial touts “the spirit of exploration” (fair enough), but follows up by praising Columbus for hastening “the spread of Western civilization” (ehhhh). Eurocentrism and the inklings of white supremacy are everywhere in these pieces. 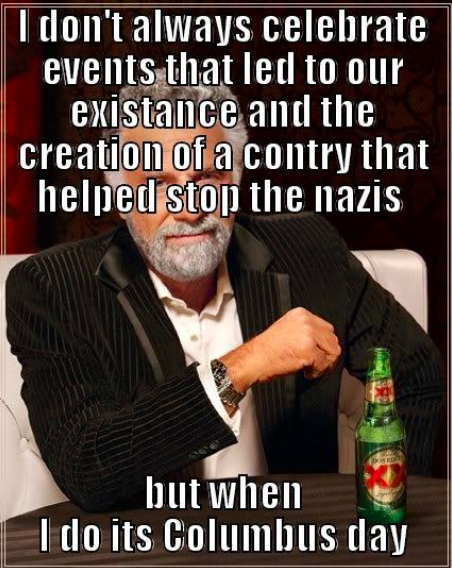 The dispatching of Western adventurers to every corner of the globe was only “one of the greatest things that’s ever happened to humanity” if you happened not to be among the part of humanity conquered. But at least these Columbus-defenders pay lip service to the devastating reality of colonial violence and disease. 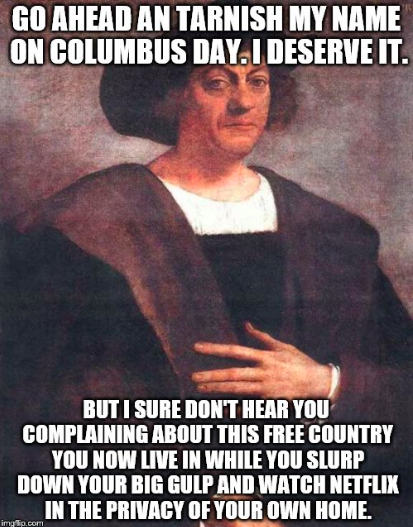 Others ignore the historical record in favor of pure right-wing rhetoric, whining about an educational system peddling liberal propaganda, or playing gotcha by getting college students to voice a negative opinion of Columbus while misremembering the basic details of his life. Both tactics are useful when vilifying people who’d rather have a parade for Indigenous Peoples’ Day, but neither offers a meaningful counterpunch to the narrative that paints him as a pioneering annihilator. The deeper you dive into the Columbus fandom, the less anyone wants to contend with what actually transpired in the New World at the end of the 1400s. The Columbus Heritage Coalition blandly praises “the accomplishments and achievements of the Italian-American community,” daring to liken Columbus to an immigrant rather than an agent of the crown, and eventually, a brutal governor of the islands he “discovered.” The group’s Twitter account is so starved for pro-Columbus material that they mistakenly retweeted a parody Columbus account engaged in a thread that explains why the explorer’s holiday is an embarrassment. They don’t know they’re being ridiculed. Still, that’s just scratching the surface. These are bad-faith arguments from trolls who want to “trigger” anyone acknowledging the systematized death, torture and plunder that gave rise to the country we now inhabit, which is and must always be legendarily ideal. They are the backlash to a backlash. Whereas children were once taught that Columbus was a brilliant, noble-minded visionary who opened up the future, more recent scholarship challenged that narrative, beginning with the mistruth that he alone supposed the world to be round, extending to his middling navigational talents — he was perhaps luckier than he was intelligent — and refusal to revise his bogus theories in light of the geographic evidence. In essence, the Columbus squabble has little to do with his actions and lots with what he symbolizes: the overall effect of Europeans’ arrival in the Americas. If you’re conservative, you think that event was good, on balance, despite the human toll; if you’re left-leaning, it’s hard not to see the emergence of a slave economy. All the same, the Columbus fandom really wants to absolve him of any personal wrongdoing. Whatever went wrong in the colonies happened, uh, sometime later. 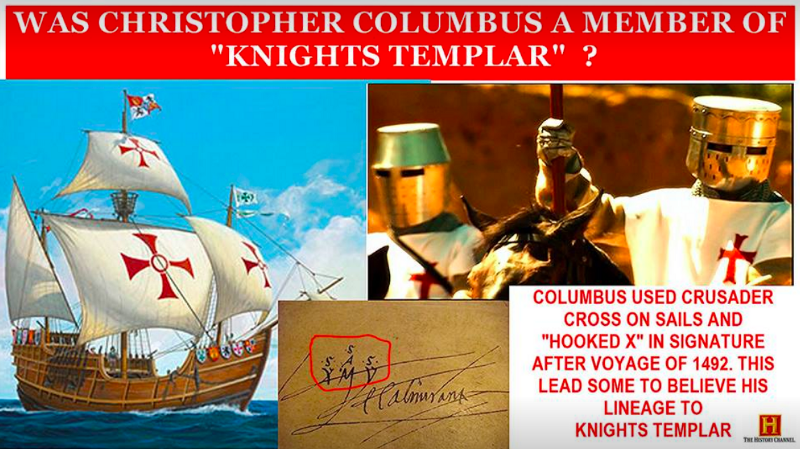 How do the Columbus disciples respond to this charge? Again, by saying that was someone else, at some other time. A YouTube video made in this vein, a mere 21 seconds long, poses the question “Did Columbus Cut Off the Hands of Natives?” then answers with a simple “NO!” absent any kind of a source. You have to wonder what these stalwarts would make of the fact that Columbus’ earliest biographer-of-sorts, a contemporary named Bartolomé de las Casas, assigned him significant blame for a burgeoning genocide in the West Indies. 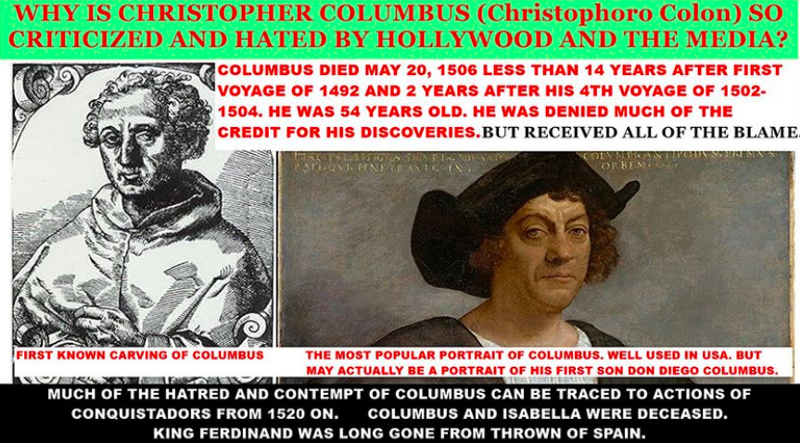 In other words, the unfavorable portrait of Columbus hardly began with a digital campaign by social justice warriors, nor with the unlikely alliance of the KKK, Antifa, and Black Lives Matter. Which might be a way of saying: “Yeah, Columbus sucked… in a complicated way… and is a relevant factor in the complicated identity of many Americans living today.” Were the Columbus-lovers to absorb a modicum of this nuance into their reasoning — rather than clinging to the fable of the morally faultless sea captain prevailing over all odds and naysayers — we might have a valuable discourse at last.